Cyberlutions provides digital solutions to different companies to identify the online harassers and their operations. Such solutions are really useful for IT and digital agencies to keep their functions transparent. We have built the website for the Cyberlutions which have every detail of their operations and services. It gives a general idea to the clients that either these services will help them or not to resolve their issues. We have also designed an app for this company which has great user interference and it is compatible with the smartphones as well. 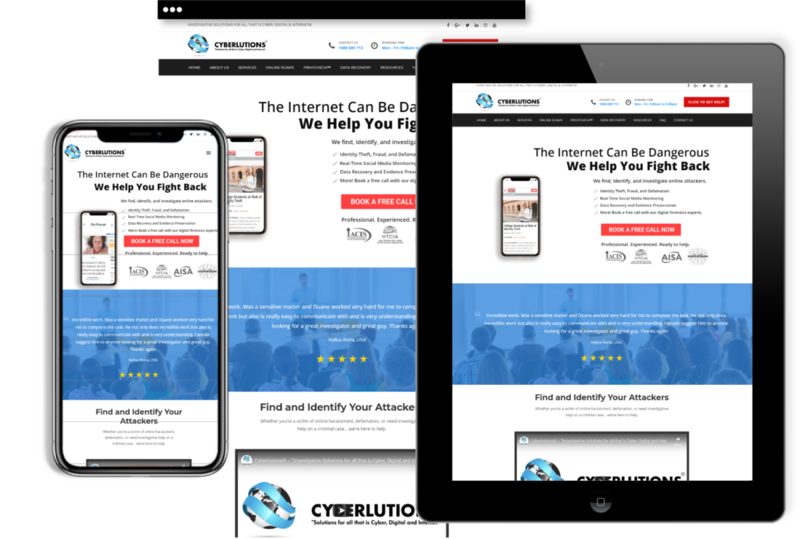 Our online marketing team has exhibited the services of Cyberlutions on different platforms which have helped them to accomplish their business goals.